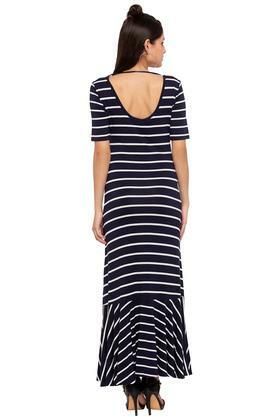 Impress everyone around by wearing this maxi dress from the house of Vero Moda. Crafted with care using superior quality fabric, it will make you feel comfortable all day long. 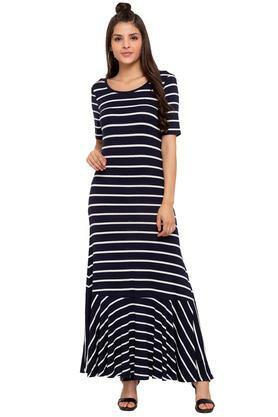 Besides, it has a stripe pattern that adds to its look while the round neck adds to its overall design. 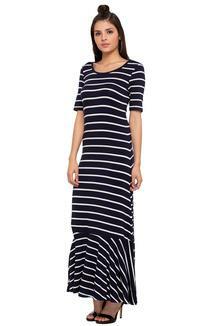 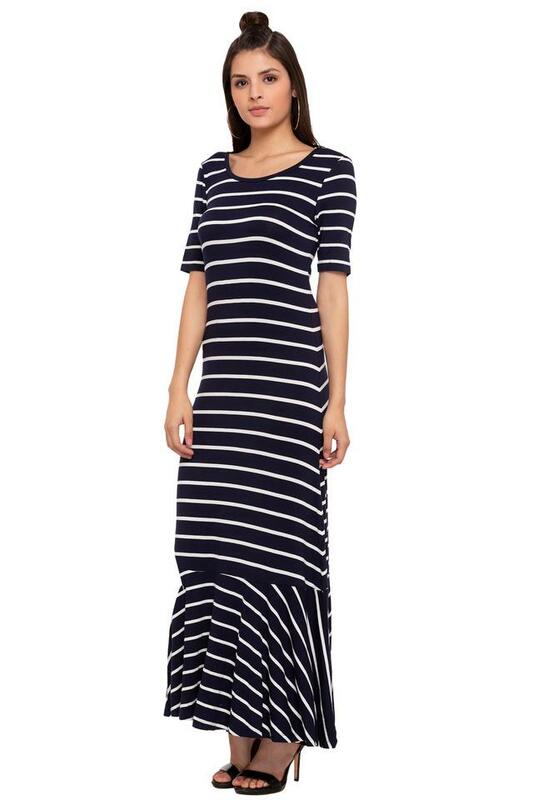 A perfect mix of style and comfort, this maxi dress will be a smart addition to your wardrobe. You can club with a cool pair of heeled shoes to look your best.